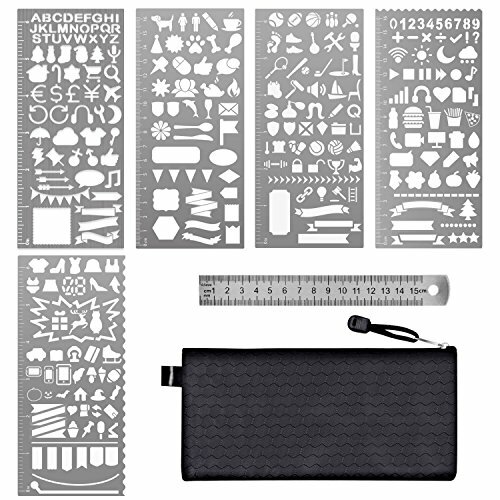 ✅ AESTHETIC DESIGN: Our bullet journal stencil set contains trendy styles make your drawing great. 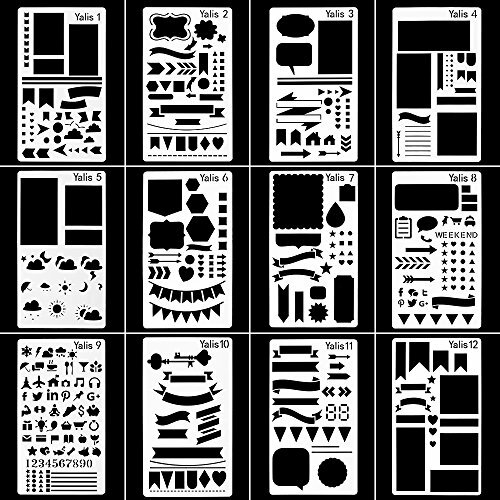 ✅ CONVENIENT AND CREATIVE: You can creatively mix and match stencils in a short time. 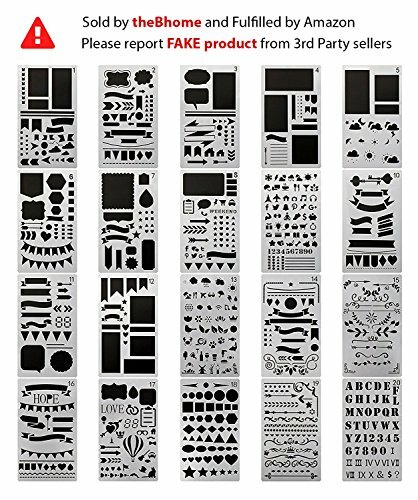 ✅ Package include: 20 PCs of journal stencils. • You are making a present for your beloved ones, but get bored with original notebook, cards… sold out there. 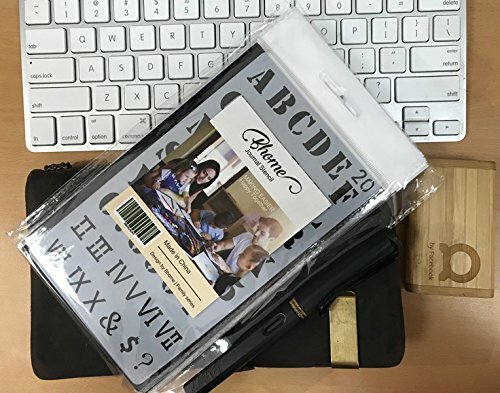 Why don’t you use a bullet journal stencil set to personalize your gift? • You are a non-artist but love aesthetic things. 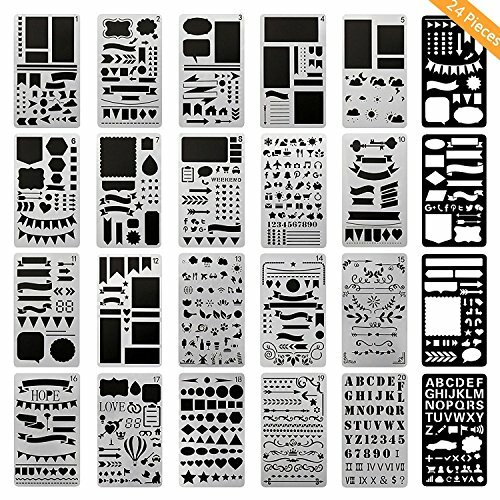 Then these dot journal stencil are your perfect choice. 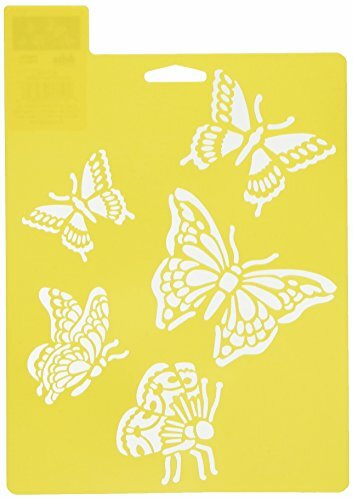 You don’t need a particular pen or high level drawing skills, just take your own pen, purchase a set of stencils and let your creativity fly! • You frequently work with planners, schedules, calendar, diaries and so on. By making your paper notes more funny, you will definitely feel less stressful with those intense to-do-list. 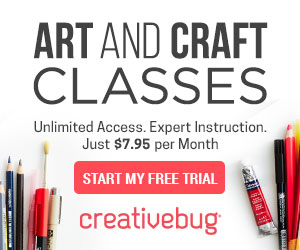 • You are a creative student. Instead of traditional note-taking, why don’t you give yourself a chance to study more effectively? You deserve it and our bullet journal stencil set will help you. ✅ USER-FRIENDLY: Made of friendly plastic, the corners are ensured not to be sharp and injure the user. 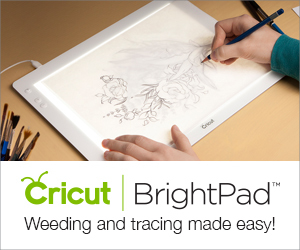 ✅ NOT REQUIRE A SPECIFIC PEN: You can use any kinds of pens you have to draw on these stencils.